"The Memories. The Madness. The Music... The Movie." 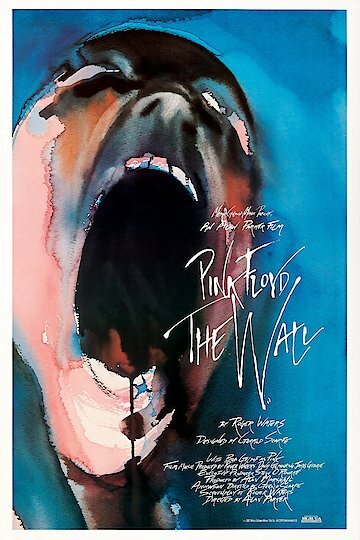 Pink Floyd - The Wall is a movie based on the album The Wall by the music group Pink Floyd. The movie, through a mixture of live action and animation, tells the story of a rock musician named Pink and his feelings of isolation and estrangement from societies "norms." During the beginning of the movie it is revealed that young Pink's father was killed in World War II. This is actually a mirror of the life of Roger Waters (founding member, singer, songwriter of Pink Floyd as well as screenwriter of the movie), who lost his father in the same war. The film then uses flash-back scenes between the adult Pink and the child Pink, trying to tie together the life of this boy/man who has this great feeling of disconnect and estrangement from everyone else, along with crushing depression. The movie also makes great use of the music from the album of the same name, as it takes a metaphoric ride through the life of the star. Often using imagery, both subtle and quite dramatic at times, to continue the journey. Towards the end, the main character is losing his mind. It begins to be taken over by worms, and he shaves all hair from his body, (this is another case where the life of the band inspired a part of the movie) as was done by former Pink Floyd member Syd Barrett.